If you are a Minnesota resident and buying a car from a dealer, they will normally process all the required documentation on your behalf. If you are buying a car from a private seller, you will be responsible for handling all the required documents when registering or titling the vehicle. The Minnesota Driver and Vehicle Services (DVS), is the department that is responsible for processing registration and titling applications. To initiate the vehicle registration and title transfer process, the seller must sign over the title to you. It is also advisable to obtain the bill of sale from the seller. This document contains both your name and that of the seller, the vehicle purchase price and vehicle description. A bill of sale signed by all sellers. Vehicle photographs taken from all sides. You don’t need photographs if you are purchasing a trailer with a gross weight of 6,000 lbs or more. A written statement of facts filled by the seller. 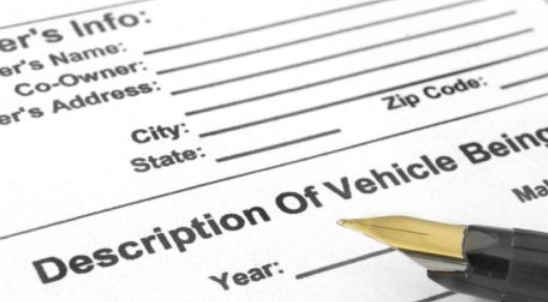 This document contains the vehicle description, seller's signature, an explanation of why there is no proof of ownership and history of the vehicle. A written statement from you with your signature and a statement indicating that you will defend and protect the state against any claims of ownership that might arise. A surety bond to protect the state from any ownership claims that may arise. Though a bill of sale is not needed when registering or titling the car, this document is mandatory for your own records. You can use it to show proof of vehicle ownership when asked to do so by authorized authorities. A Vehicle History Report is not required when registering or titling your newly purchased vehicle. However, if you are a buyer, a vehicle history report is extremely important. This report contains detailed history about the car that you are purchasing, such as accident history, estimated odometer reading, theft or flooding information etc. To avoid various vehicle frauds such as insurance and odometer frauds, request a Vehicle History Report for the car that you are about to purchase.